The queer New York collaborators sing together on a scorching euro-pop smash. 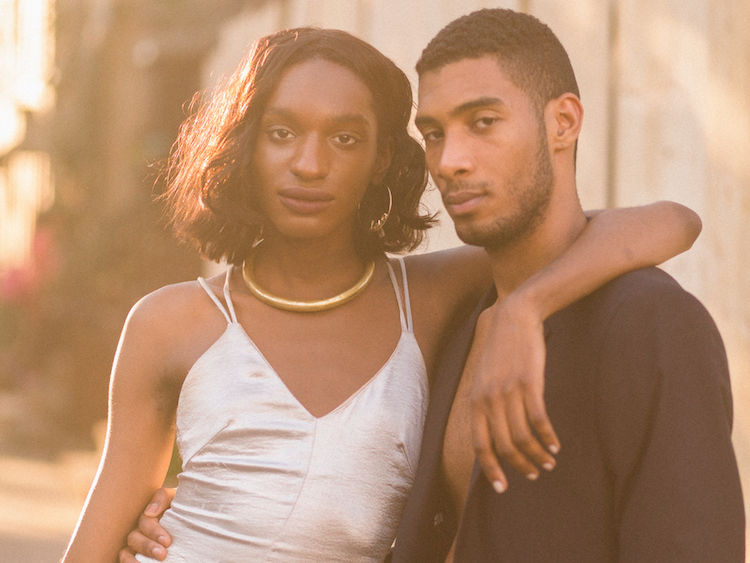 Two of New York's most promising queer talents—Torraine Futurum and Rubby—have joined forces on "Drama," unleashing an underground electronic club-scorcher that builds across five impressive minutes. Co-produced by Wyatt Bertz, the synth-driven single would find a happy home on Kelis' 2010 album Flesh Tone, and sees Torraine repeating "the ice falls" above a sizzling euro-pop instrumental. "Drama" is the first single off a larger project Torraine's been working on, which is scheduled for release later this year. Unlike her breakout album, Colonial, which was a notably dark, R&B-leaning full-length, Torraine says her follow-up LP features more "uptempo, optimistic, beat-driven" music with a "polished, electronic sound." Torraine will bring Rubby on stage this weekend to sing their duet during her debut live performance at Baby's All Right this Sunday, July 2. Fellow queer New York artists are booked for Torraine's breakout night, including Sateen, Gia Garison, Macy Rodman, and DJs NAR and br0nz3 g0dd3ss. Tickets are now available online for $10. Listen to the OUT premiere of "Drama," below.